Any of us that are engaged in and have embarked upon a spiritual quest, will at some point be faced with challenging some kind of quicksand. We can look at our quicksand experiences in two positive ways, anything spiritual is after all, for our Higher good no matter how difficult the situation. Once you have signed up for your higher learning classes the Universe will begin to engage with you right away. At some point there will come a time when you find yourself knee deep in mud, the kind of gunk that wants to keep you standing still with a bit of panic. This is what it feels like to be faced with an old and painful wound, one that wants very much to heal. Being still in the wound for a period of time is necessary, so you can allow the emotional attachment to the pain lodged in you, to move through you. The onslaught of emotions might ignite your Heart Chakra, and the energy around your chest might feel agitated, tight and overwhelming. This kind of reaction might feel a bit like the panic you would experience if you stepped into quicksand and started sinking, anxiousness or anxiety might very well appear. When our Heart Chakra gets stimulated, the energy around it gets very excited because it knows some wonderful healing is about to happen. Stay still, meditate if you can, but most of all embrace yourself in what you are feeling on a deep and profound Soul level. I know it will hurt, but the pain won’t last forever if you give in to it. You might feel like you are sinking into the abyss, but the Universe will pull you out before that happens. 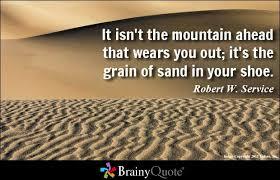 The quicksand will only swallow as much of you as you allow it to. In other words, face the deeply lodged pain, but don’t stay there. Don’t allow your Ego to trap you in wallow, let your Soul do it’s master work. Honour that you might feel fearful and afraid, after all who really likes the idea of standing in quicksand! If there comes a time when you feel like you are sinking too deep into the pain of your inner wounds, know that you can swim yourself to freedom, if you just let go of the fear that is pulling you down. Rise up and find the strength to pull yourself out, and you will find an amazing new kind of freedom born inside of you.